I just spent a couple of days in Oslo, Norway on a business trip. Things were very busy leading up to my trip and I hadn’t really paused to think about the fact that I was going to a city and country I had never been to before. Nor about the fact that I “know” a Norwegian. I put “know” in quotations as we hadn’t ever met in real life but had been conversing for years on an online diabetes forum. When I finally got to my destination I thought about what I could do with the very few hours of free time I had before and after my meetings. 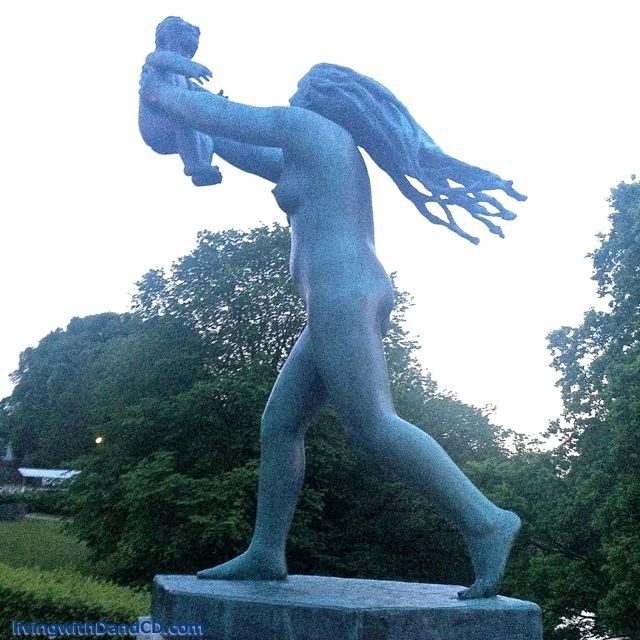 It was only then that I contacted my Norwegian friend to ask if she actually lived in Oslo. She did, and as it turned out, she was free to meet up the following evening, just at the time that my meetings were ending. We didn’t plan anything overly exciting but we sat for an hour and a half at Starbucks talking diabetes, of course, but not only. We talked about family, work, travel and bi-culturalism as if we had been close friends for years. But in reality, we haven’t been in close contact lately as the forum that brought us together originally was about diabetes and pregnancy and our respective kids are now between 9 and 4.5 years old. I love the power of the internet and social media, that we can so easily create a network of contacts and friends all over the world at a few clicks of a mouse or taps and swipes on a smartphone. But there is a different level of magic when those conversations and friendships are taken off-line. On a completely different level, I had one more encounter with diabetes in the wild before I left the country. I was standing in line to go through security at the Oslo airport on my way home. As the queue snaked forward, there was a counter space that people could use to organize the things that need to be taken out of carry-on bags to go through the x-ray machine. I happened to glance up as I passed on the other side of this counter and saw a young woman putting a glucose meter and insulin pen in a clear plastic ziplock bag. My first thought was -” that’s strange, I’ve never taken my diabetes paraphernalia out of my purse for airport security, unless asked”. The fact that I was looking at another girl with type 1 was only my second thought. I smiled at her and she looked a little bewildered. Not sure how much was her stress about travelling with diabetes and how much was the fact she had no idea I had diabetes and therefore why this strange woman in line was smiling at her. So I took my pump out of the pocket of my jeans and held it up to her. I saw the recognition light go on in her head and she fired off some very rapid Norwegian about “no pump” – at least those were the only words I caught. Then the line moved on but I felt empowered by the mutual understanding of the stress of travelling with diabetes and that I wasn’t the only one in that line wondering if I would be pulled aside to be asked about my diabetes kit. 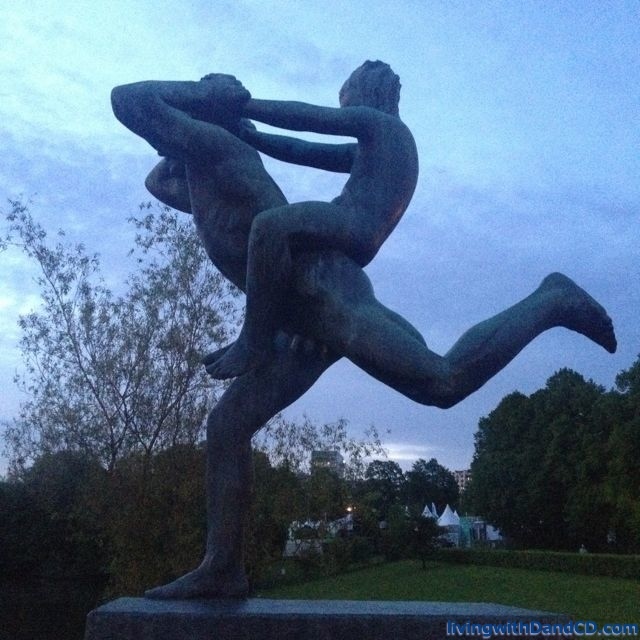 Oh, and if you are ever in Oslo, the Vigeland sculpture park is a must see. 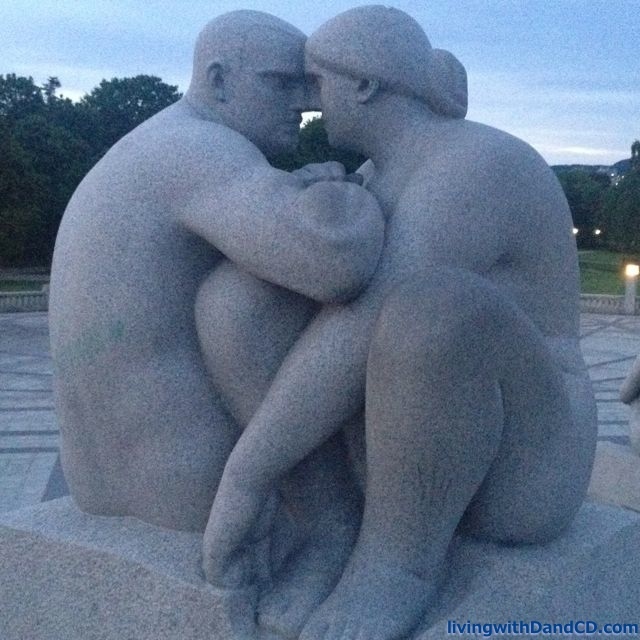 The sculptures and statues blew me away in the emotion that they conveyed. I only wish I had a better camera than my iPhone 4S to capture the beauty. This entry was posted in Diabetes and tagged connection, diabetes, DOC on June 12, 2015 by Andrea.